Kent Steele has more than 30 years in the valuation of most types of investment-grade commercial real estate for a variety of lenders. Income properties such as CBD and suburban office, community and regional shopping centers, regional malls, apartment communities and major industrial properties have made up a significant portion of his practice over the years. Many assignments require projections for rental and expense growth, renewals, and vacancy and expense changes in complex discounted cash flow analysis models used by institutional investors. In some cases, the repositioning of assets requires very dynamic assumptions. Mr. Steele has been at the forefront of this type of financial modeling for his entire career. Over the years, he has served a variety of clients. With feasibility analysis going hand-in-hand with this type of appraisal, he is highly experienced in development appraisals for major retail centers, office developments, self-storage facilities, industrial facilities and multi-family facilities. Wealth of experience in the appraisal of extremely complex mixed-use properties such as urban towers that include for-sale and rental dwelling units, retail and office space. Such projects have been completed in California, Florida, the Midwest, New England, the Mid-Atlantic States, Arizona and Nevada. These types of assignments entail the highest levels of sophisticated analysis with absorption studies, pricing analysis, the financial modeling of rental absorption and sellouts of for-sale housing. Appraisals for a variety of for-sale housing developments that can include single-family subdivisions, as well as more complicated mixed-density developments that include a variety of dwelling units. In some cases, the development appraisals have include the adaptive reuse of existing structures such as office buildings, lofts, hospitals and hotel casinos. Other clients include institutions such as pension funds, insurance companies, REITs, private owners, operating companies and attorneys. Other types of valuation assignments have been in the self-storage, litigation support and hotel arenas, which he is engaged regularly by a variety of clients. Vacant Land, Huntley, Illinois. Mr. Steele prepared an appraisal for a lender of an approximate 300 acre landholding that contained land zoned for multiple uses and in different stages of horizontal development. Included were retail, office, industrial, automotive, hotel, multi-family and single-family parcels. An absorption projection was prepared as part of the appraisal, which was of both retail sellout and the bulk value. Shopping Center, Harwood Heights, Illinois. National Realty Counselors prepared an appraisal of the leasehold interest in a shopping center with a ground lease that included provisions for the payment of percentage ground rent. An Argus model for this 150,000 square foot property was prepared that included national anchor tenants and local tenants. Itasca, Illinois. 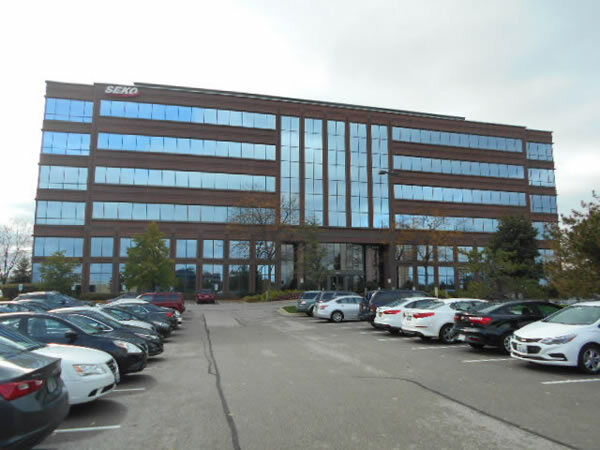 Mr. Steele prepared a leased fee appraisal of an approximate 150, 000 square foot Class A suburban office building. The property was about to lose its largest tenant and the appraisal included an absorption analysis to project the time and expense involved in re-leasing the property. An Argus model was developed for both the "as is" and "as complete" scenarios.